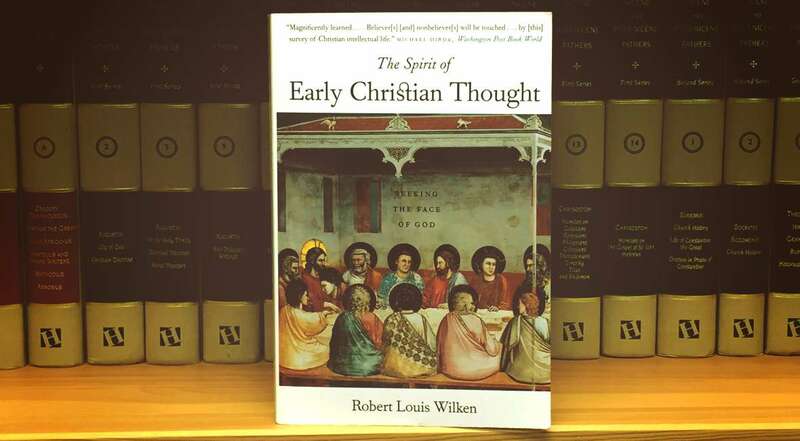 The Spirit of Early Christian Thought is a survey of the greatest thinkers of the early church on a broad range of subjects. 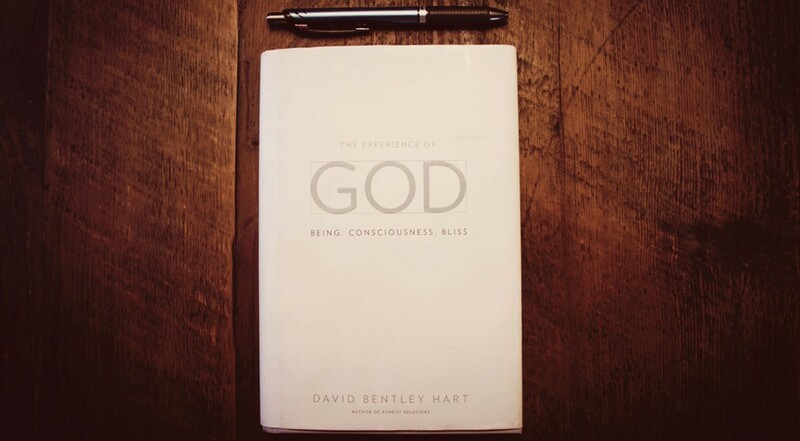 Each chapter is dedicated to a single topic, such as the Trinity, virtue, politics, or apologetics. Wilken artfully weaves thoughts from at least two primary writers in each chapter, diving to the depths of the issue, offering the wisdom of the ancients to a modern audience. Wilken is careful not to rely on the same thinker over and over, so the audience is treated to a wide range of authors, including Justin Martyr, Iranaeus, Athanasius, Basil of Caesarea, and others. He admits, however, that there were four giants, so to speak, to which he returned more often than the rest: “Origen in the third century, Gregory of Nysa in the fourth, Augustine in the fifth, and Maximus the Confessor in the seventh.” (p. xix) Any student interested in learning from the great masters of the Church would do well to start with these four. As noted above, Wilken’s approach is to tackle one issue in each chapter, and to do so under the guidance of two ancient writers. While he does not typically quote any author at length, he pieces together their thoughts and gives them flesh through his own prose. The reader may be left with the hunger to hear more directly from Origen or Augustine, but the effect is to give the audience the best of their thoughts in modern formulations. A typical example can be taken from the first chapter, which dealt with the Christian concern of apologetics. In taking this approach, the reader must trust that Wilken has done his homework, and is faithfully presenting the thoughts of each author. While I often found myself longing for lengthier quotations, I came to conclude that Wilken’s approach was best. Nearly two thousand years separate my mind from the ancient author’s words. In such a sweeping survey, it is helpful to have a learned mediator bridge the gap between the style of their writing and the form of prose which best suits modern readers. In other words, God is too good to allow the devil, through his deception, to destroy humanity and make them nothing (in the same way that both evil and darkness are nothing, the absence of goodness and light, respectively). His goodness cannot allow evil to win. What, then, is he to do? The rhetoric of God is Jesus Christ, offered as pure gift. As gift, Christ is infinite peace. As both gift and the rhetoric of peace, Christ is beauty, the magnificent demonstration of the self-giving love of the Trinity which crosses all boundaries, even the boundary of death. Simple Church offers a strategy for churches to simplify their disciple-making processes, thereby increasing the effectiveness with which they advance God’s kingdom. The book is based on a significant research project done through LifeWay Christian Resources. Over 500 churches responded to a comprehensive survey, with roughly half of respondents considered “growing, vibrant” churches, and the other half being churches that have either plateaued or are experiencing decline. The churches surveyed varied significantly in size, location, style, and ministry focus. Not all vibrant churches were large, and not all plateaued churches were small. The research revealed that vibrant churches have a significant statistical relationship to simplicity in their approach to ministry and disciple-making. This does not mean, however, that these churches don’t have much to offer, or do things the easy way. 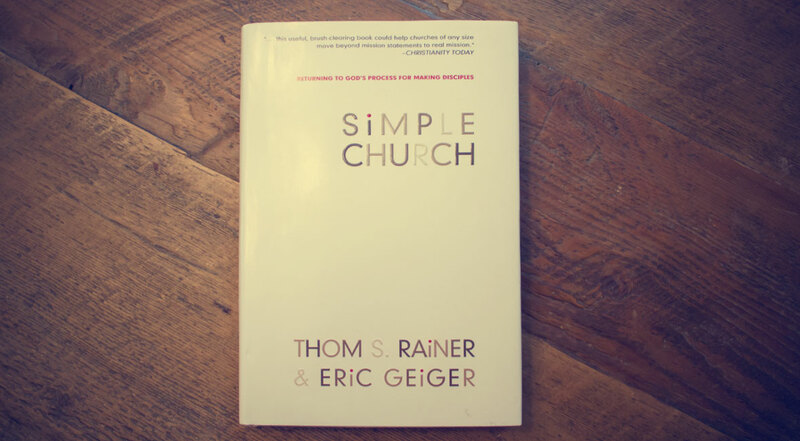 In the words of the authors, “simple is basic, uncomplicated, and fundamental.” (p. 16) A simple church is not a shallow church; it is a church that has a clear process for helping people become committed disciples of Jesus Christ.